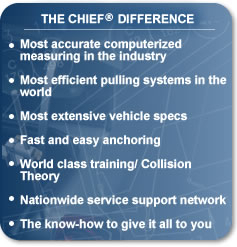 Chief Automotive Technologies® has been the market leader in collision repair equipment since 1972. Rick's Auto Body believes in using the best! 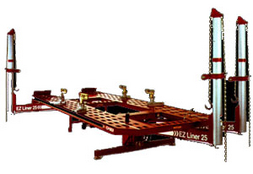 With the Chief EZ Liner we are capable of multiple simultaneous pulling to restore the entire structure of damaged vehicles to manufacturer's specifications, from the smallest subcompact up to full size vans and pickups, even duallies. Call Rick's Body and Paint at 707-446-0736 and visit their website at http://www.ricksbodyandpaint.com/.